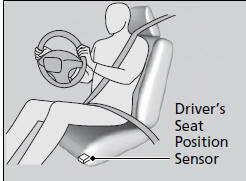 Rollovers: Seat belts and, in vehicles equipped with a rollover sensor, side airbags and side curtain airbags offer the best protection in a rollover. 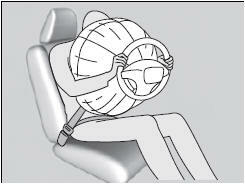 Because front airbags could provide little if any protection, they are not designed to deploy during a rollover. Although Honda recommends against carrying an infant or small child in front, if the sensors detect the weight of a child (up to about 65 lbs or 29 kg), the system will automatically turn off the passenger’s front airbag. 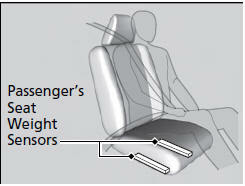 For both advanced front airbags to work properly: • Do not spill any liquid on or under the seats.